Starting tonight or tomorrow, you will find a few updates in your Windows Store for a few of Microsoft’s built-in apps for Windows 8, including Mail, Calendar, and People. The biggest update to these apps is performance, including opening the apps, opening and deleting items, etc. 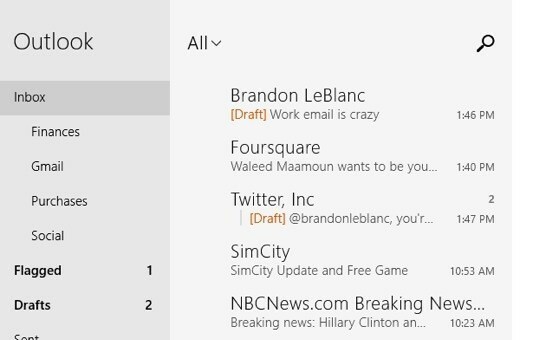 In the mail app, you can now create, delete, and rename folders from within the app. You can also flag messages, mark them as junk, or view only your unread messages. With this update, you can also search for mail on the server, add and edit links while drafting a message, and save senders as new contacts. Additionally, the company added a new feature that doesn’t just suggest people you might want to put in the “To” field; it displays their names as small pop-ups, making it easier to address an email if you’re using a tablet. 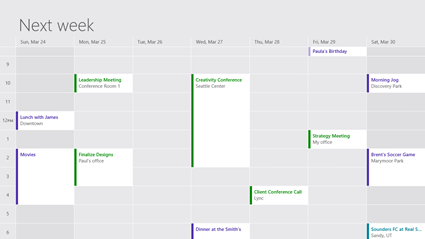 Microsoft has made a few visual changes to the calendar app, and has also included a Work Week option, showing you only Monday-Friday. When it comes to creating appointments, meanwhile, you can now check other people’s availability, forward meeting invites, send an email to all attendees, set end dates for recurring events, and generally make use of more recurrence options. You probably won’t notice a whole lot of change with the people app. 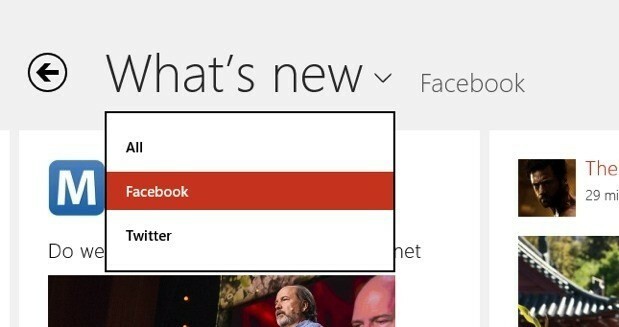 You can now filter the What’s New view by social networks (as seen above). You can also post directly to someone’s Facebook wall from within the app. price bookmarking for revisiting. I wonder how so much effort you put to create such a great informative site.